Ty Brown is a lucky guy and he knows it. He grew up amidst a loving family in a quaint, close-knit community, parlayed his boy-next-door people skills into a well-paying job and built a solid all-American lifestyle for himself. He was a man with a plan. But, his storybook lifestyle was not always met with a sigh of contentment at day’s end; music called his name and, after years of reflection and internal debate, Ty returned to what “completes” him. A West Point, Mississippi native, Ty Brown is the eldest of three boys (his younger siblings are twins). His mother was a schoolteacher and his father worked for the Department of Agriculture. A mischievous child, young Ty was a trickster who pulled pranks on folks all over the little town that eventually instilled in him his strong values, work ethic and determination to succeed. A born salesman, Ty was a natural in people skills and communications. He nurtured his talents to start his own yard maintenance business before he was in his teens. With the money he made as his own boss, the enterprising 16-year-old bought himself a 1976 Jeep Renegade. The rough-and-tumble, four-wheelin’ vehicle, coupled with an acoustic guitar seated in the back, made him a big hit at Mississippi State University where Ty learned quickly that the G, C & D chords made the grade with the girls! With the help of those three little chords, Ty Brown rediscovered his passion for music and the stage in college. Having grown up in his small town church community, Brown spent his youth performing in church events. At 17, friends goaded him into singing Keith Whitley’s “When You Say Nothing At All” in a small Starkville dive. His collegiate stage shows, however, were noticeably more honky-tonk than hymnal. After graduating from MSU with a marketing and biology degree under his belt, Ty tapped his business and sales instincts to land a job in pharmaceutical and medical sales with a company based in Nashville, Tennessee. Poised for success, Brown quickly became the “one-to-watch” and excelled among his peers and medical professionals. Successful? Yes. Happy? No. Shortly after the light bulb went off, Brown left his medical sales job in the dark. With no specific game plan for the future, a doctor friend opened the next door; his friend submitted Ty for a spot in the upcoming season of ABC’s “The Bachelorette.” Ty’s charm and confidence (and, of course, three chords and a pick) landed him the gig. He became Ali Fedotowsky’s early interest. As fate would have it, however, Ali and Ty didn’t spark a match; he was eliminated in Episode 7. 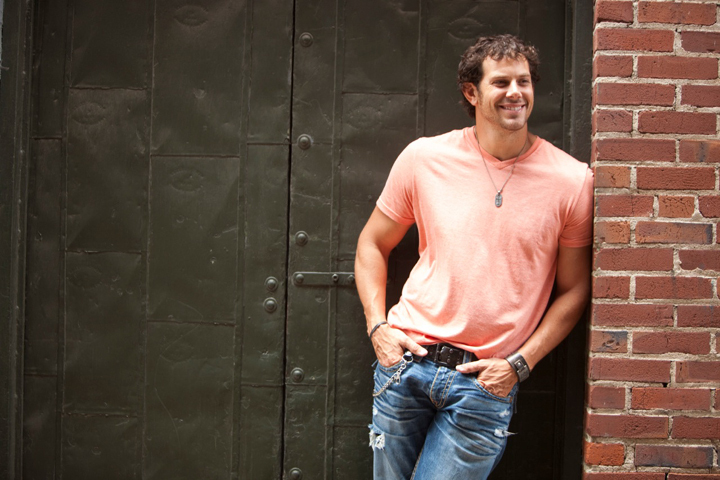 “The Bachelorette” earned Brown instant fame and recognition with reality TV fans, yet when he returned to Music City and began to play again around town, he realized the country music community in and around Nashville were entirely unfazed by the reality show casting. These days, Ty is more than happy with his decision. The one and only trait that seems to remain from the days gone by is his inclination to be an early riser–uncommon to most late-night performing artists. Brown plays shows all over the country and is thrilled when folks arrive expecting to see a “bachelor” and leave with jaws drawn after experiencing his enticing, high-energy country performance. Currently working on his first studio recording, Brown is in the song selection process and hopes to have an assortment of his own co-writes on the project. A man who knows the business of doing business, Ty’s developed a business plan of his own. With all of the players and pawns in place and a strong foundation beneath him, there’s no “luck” involved; Ty Brown is a product of his own making. A man with a mission, he’s making his way to make a mark in country music today…tomorrow…and in the years to come. Read about Ty Brown's song, "Amen."